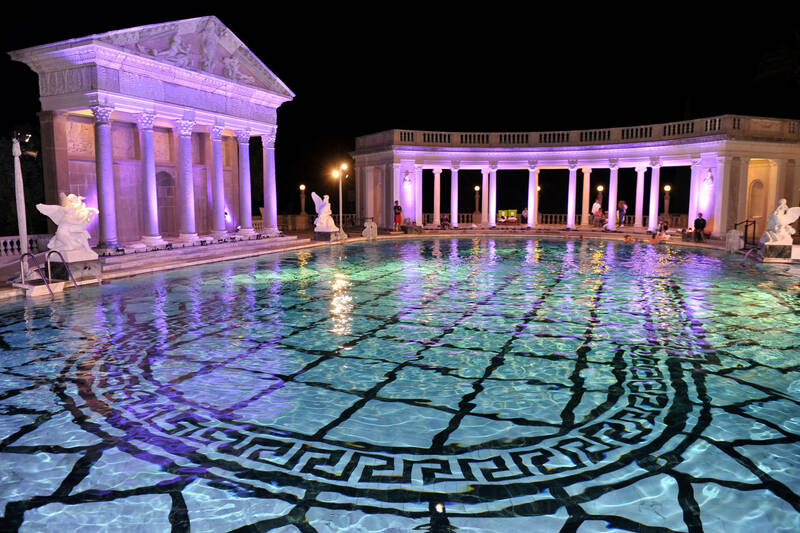 Visitors to Hearst Castle on the central coast will soon be able to see its extravagant Neptune Pool full of water again. State parks launched a $5.4 million renovation project to fix the leaks in 2016. Renovations included repairing, waterproofing and replacing the pool's old tiles with thousands of white marble and green serpentine tiles. "There's a lot of excitement in the air to see the pool," said Dan Falat, San Luis Obispo Coast District superintendent of California State Parks, adding that many staff members have never seen the pool filled. "We are in a wildfire country. We do have limited access to the water," Falat said. "This can serve as an emergency protection of the castle."